Aerial shot of the Central Florida area explorers with the Florida Wildlife Corridor Expedition will traverse later this month. The Florida Wildlife Corridor Expedition team will be faced with some tough decisions as they navigate their 2018 journey, including whether to go under or across traffic-filled I-4. This week on Florida Matters we meet explorers with the Florida Wildlife Corridor and discuss their upcoming expedition which gets underway later this month. The team has trekked through scrub, swamp and forest from one end of the state to the other. They have documented their journeys in film, books and photography exhibitions with a goal demonstrating the urgent need for an unbroken spine of wilderness running the length of Florida to give wildlife a chance for survival. Their third expedition kicks off April 15. 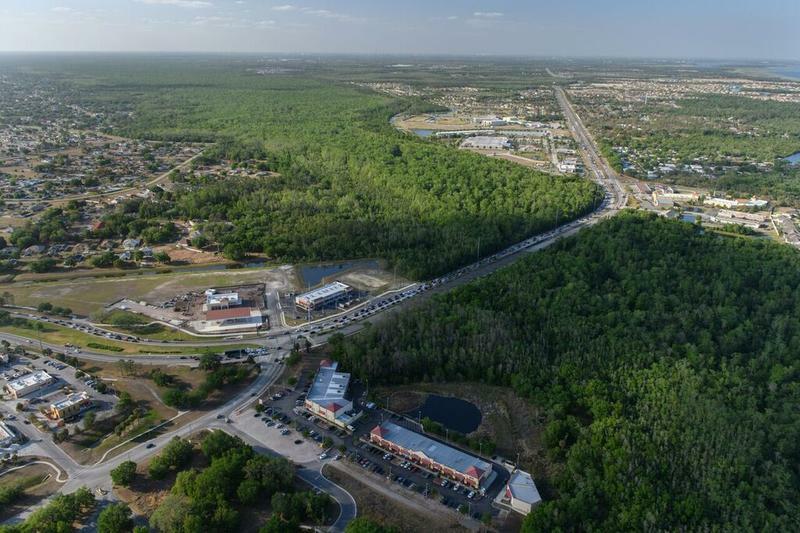 This time around the explorers want to highlight an area of wilderness in Central Florida that is threatened on all sides by urban development and transportation infrastructure including Interstate-4. Mallory Lykes-Dimmitt: Vice President of Strategic Development at Lykes Bros. Inc. and former Executive Director of the Florida Wildlife Corridor. Carlton Ward Jr.: Conservation photographer and co-founder of the Florida Wildlife Corridor. Joe Guthrie: Wildlife biologist with the Florida Wildlife Corridor. Guthrie's work tracking bears in Florida inspired the team's first expedition in 2012. WUSF is a sponsor of the Florida Wildlife Corridor and we will be covering their upcoming expedition. Follow along on our website and social media accounts. Mallory Lykes Dimmitt, Carlton Ward, Jr., and Joe Guthrie are getting ready to set off once again into the wilds of Florida as members of the Florida Wildlife Corridor Expedition team. 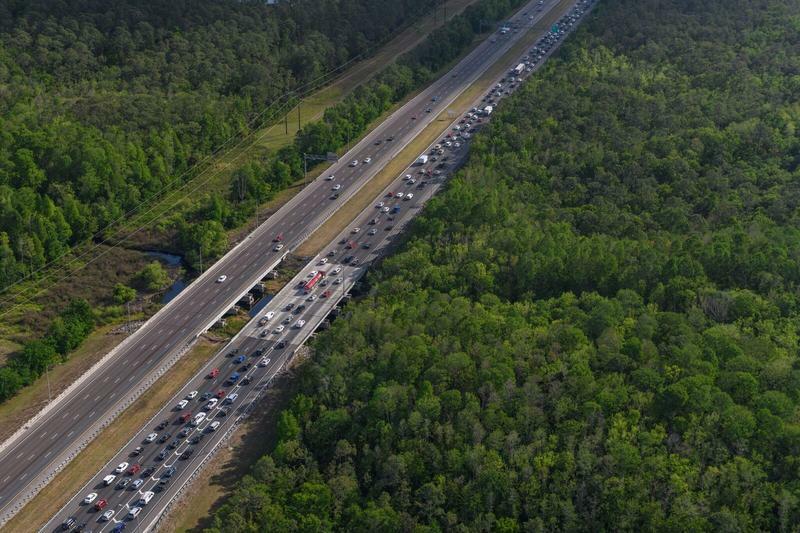 In this podcast, they speak with Florida Matters host Robin Sussingham and WUSF's assistant news director Steve Newborn about the problems that Interstate 4 presents to wildlife trying to make its way across the state. Also, how can you hike for 1,000 miles and still gain weight? The Florida Wildlife Corridor Expedition team has trekked through scrub, swamp and forest from one end of the state to the other. Back in 2012 and 2015, three environmentalists hiked, biked and kayaked a thousand miles across Florida - first, from the Everglades north to the Okefenokee Swamp in Georgia, then from the headwaters of the Everglades, through the Panhandle, to the Alabama state line. Their mission - to publicize the need to connect the state's dwindling natural lands before they're developed forever.